Concern about state authority and disputes about the centralization of church government would soon be channeled through a dispute over the Confession of 1967. 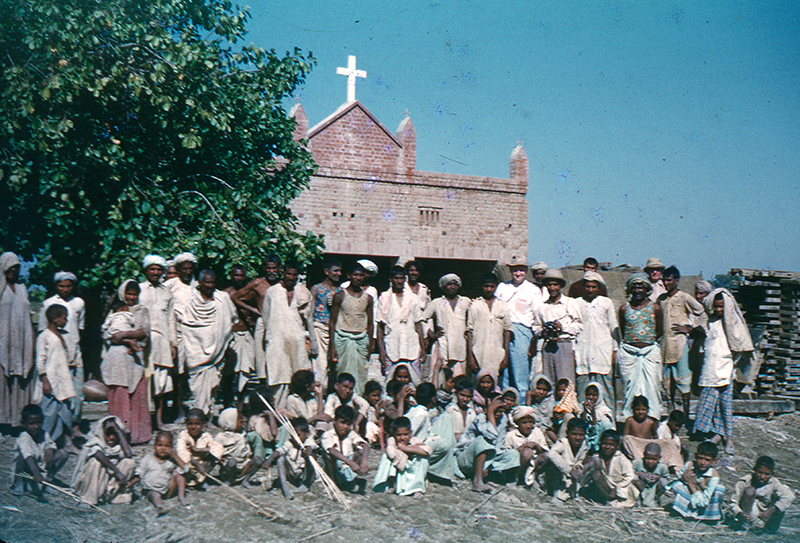 Between 1965 and 1967, members of the Synod, among them K. L. Nasir, a teacher at Gujranwala Theological Seminary, had attended the UPCUSA General Assemblies that prepared the Confession, and they had come away adherents of Carl McIntire, habitual protester outside these GAs. A faction of Gujranwala faculty, believing the Confession was unorthodox, boycotted a June 1967 called-meeting of the Synod, and gathered that July, styling themselves the General Assembly. In R. Park Johnson's account, the Nasir General Assembly took no actions, it was "in actuality no more than a party caucus. It was not followed up in any way in practice." The Battle of Pasrur is just one among the scores of stories contained in a tranche of India-Pakistan records that PHS opened to researchers late last year, described as Record Group 500. Stay tuned for more, including a tale about the illustrious water buffalo, Beejwallah, of the Allahabad Agricultural Institute.